Warnings and additional info: This show contains strong language. 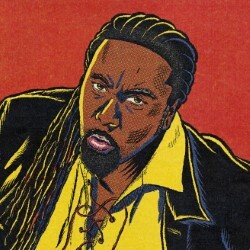 Reginald D Hunter returns to the Fringe this summer with his highly anticipated new show. For over 20 years his searingly honest material has garnered a cross-generational fan base. TV appearances have included Have I Got News for You? and two series of BBC Two's hugely popular Reginald D Hunter's Songs of the South, documenting Reginald's epic road trip through American popular song. 'Compelling onstage charisma. He remains a towering presence in absolute control' **** (Evening Standard). 'Arguably the most accomplished act in the comedy section of your Fringe brochure' (Scotsman).